On the third floor of the hotel, some rooms with a full view of the beach and our wonderful gardens you will find our new rooms with a completely luxurious and contemporary design. 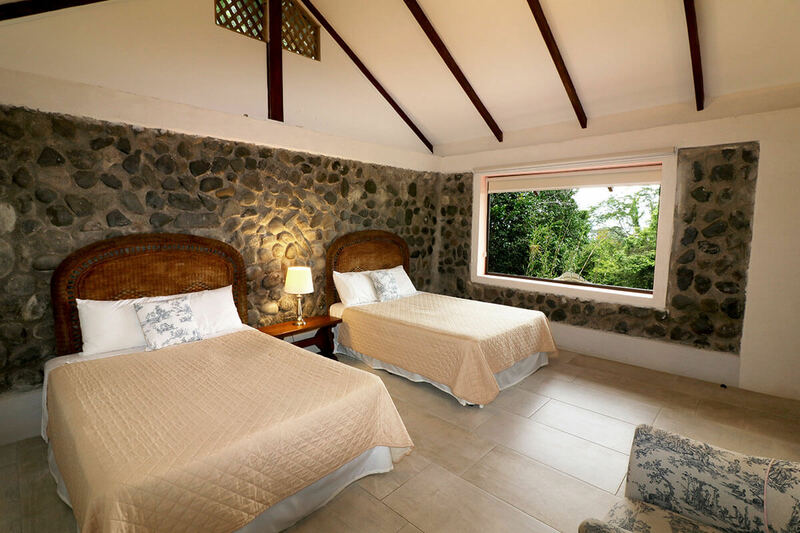 This bedrooms have two full size beds or king size, balcony, private bathroom, safe and hairdryer, definitely a high stand room to enjoy your stay. These rooms are facing the beach and pool. They have two full size beds, or one king size, private bathroom, mini-fridge, flat screen TV and air conditioning. Designed with marble floors from the region and their respective balconies overlooking our beautiful gardens, will make you feel totally unplugged from the routine. These rooms have two full size beds, bathroom, mini fridge, air conditioning and safe. They have a nice terrace. They are located uphill towards the mountains and can be accessed via steps. Some have a unique and panoramic view of the beach. Others are located a little lower. All are surrounded by trees and plant diversity. 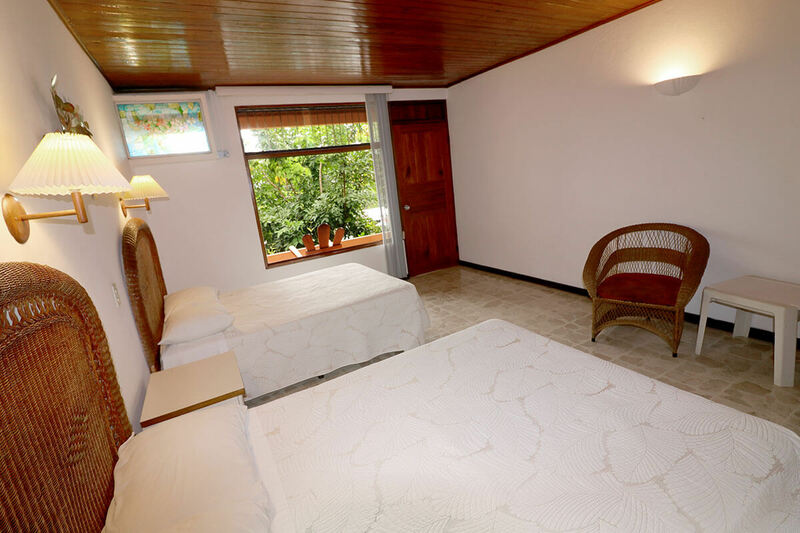 In comparison with our regular villas, they have a more modern style since they have been remodeled not long ago. 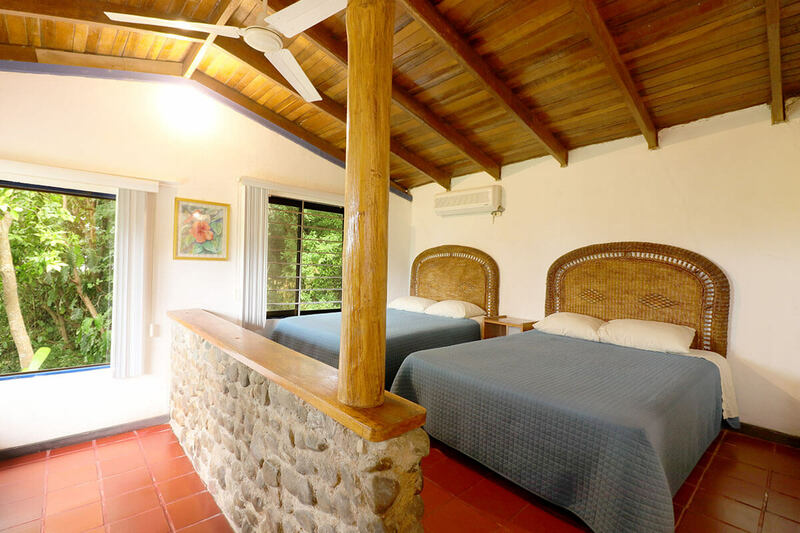 With a rich history and located on the top of the mountains of Manuel Antonio, you can find our beautiful villas built in 1980, definitely a perfect place to stay. 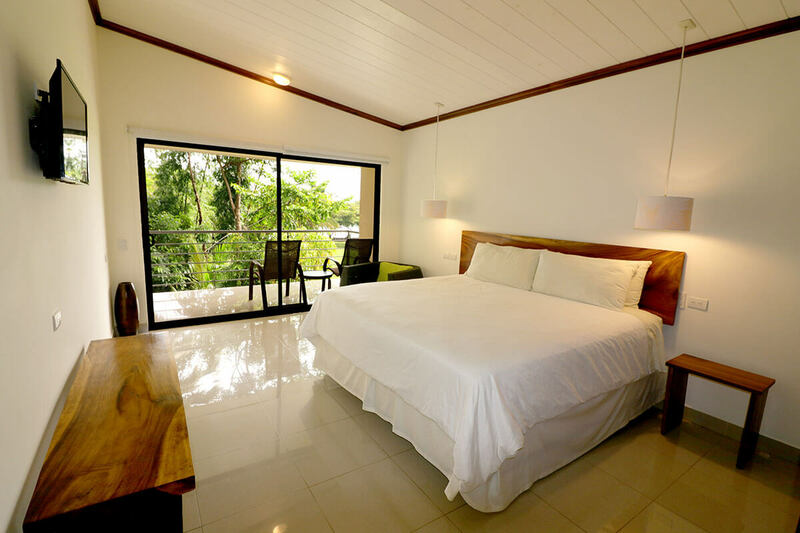 The villas have two full size beds, mini fridge, bathroom, air conditioning and a terrace in front. They are located 70 steps from our front desk and have a unique and panoramic view of the beach and mountains. Because of their location, these villas are not recommended for small children or older people. 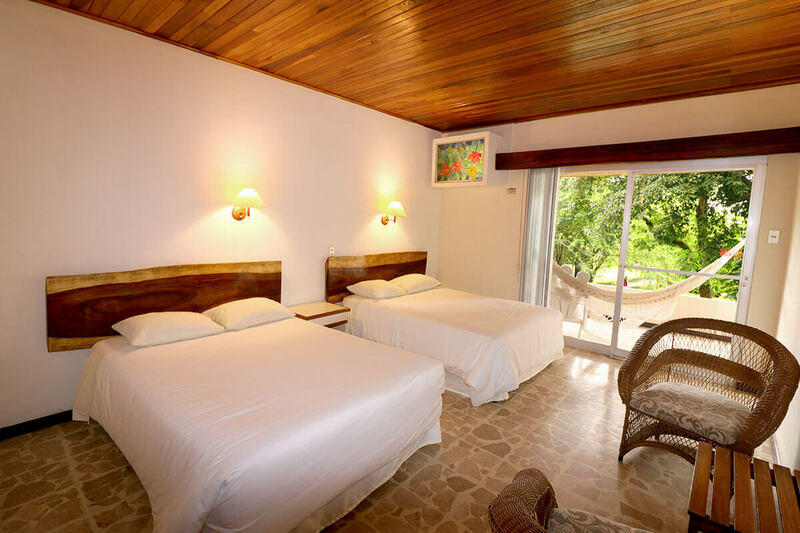 These rooms have two full size beds, bathroom, mini fridge, air conditioning and safe. They have a nice terrace. Designed with marble from the region, these rooms are located in the foothills of the mountains. They are surrounded by trees and plant diversity. They have no beach view, but you can hear the ocean and walk down to the beach.